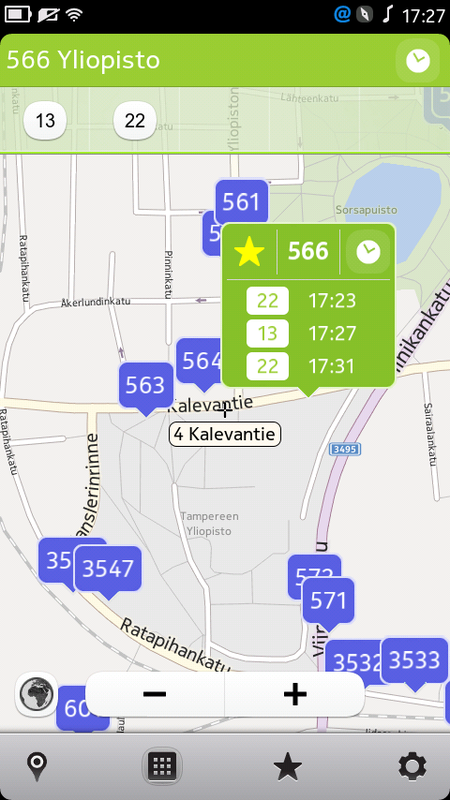 Where is the nearest bus stop? When is the next bus coming? 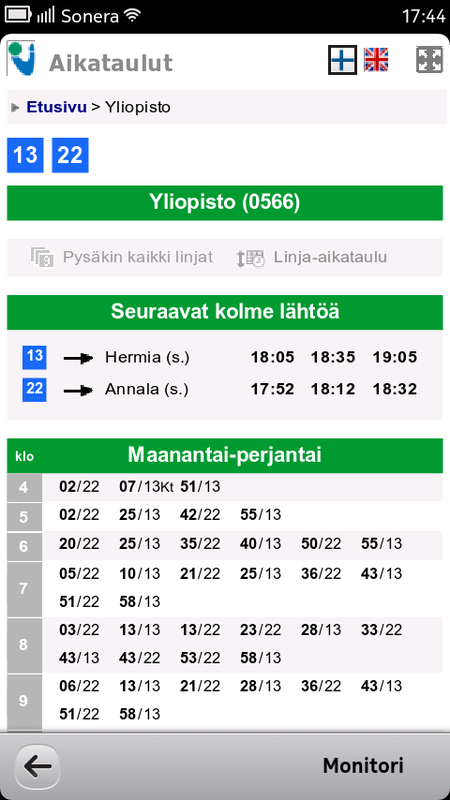 Nysset provides access to Public Transport timetables and real time bus information, for City of Tampere, Finland, directly to your mobile! Nysset is fast and easy to use. 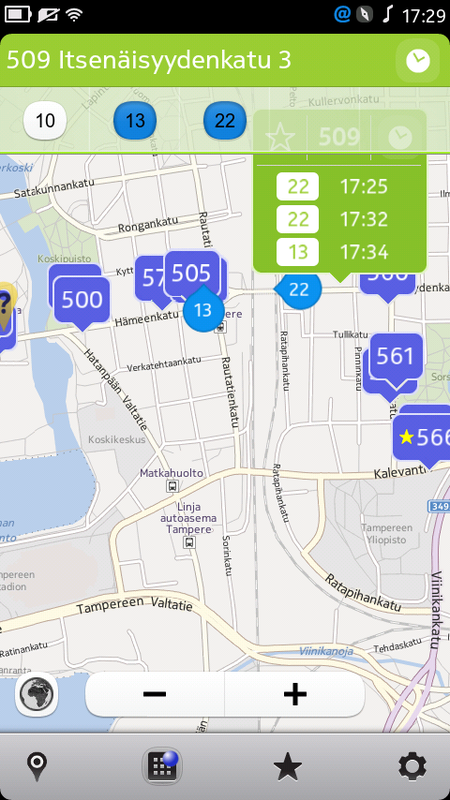 It tracks your location, and helps you to pick the right bus stop and route. I would hope however, that there would be an update option in the map view. Now, one must exit and reopen the application if left open for long time and timetables go old. I suppose you mean the list showing the next departures for the selected bus stop? A good idea, I'll add that on my TODO list. Thanks for your feedback!